This spacious two bedroom apartment is perfectly situated in Dublin's most exclusive residential area. It is located by the beautiful Grand Canal Dock, and surrounded by restaurants, bars, coffee shops and theatres. 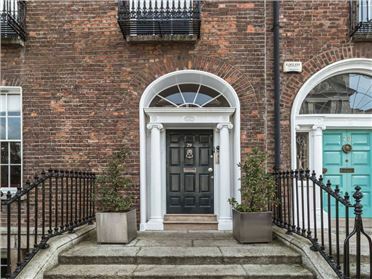 It is a ten minute walk to Trinity College, while Grafton Street (Dublin's main shopping district) and Temple Bar (Dublin's vibrant cultural quarter) are also within easy walking distance. It is a modern two bedroom, two bathroom apartment with four beds to sleep six people comfortably. There are two double beds and two single foldable beds in the apartment, as well comfortable dining and living areas. The large dining table seats six people, and the living area has a large comfortable L-shaped couch. This apartment has a large surrounding balcony, which offers incredible views across the entire Grand Canal Dock area. The balcony is furnished and also has a large gas barbeque. All bills are included and there is Hi-Speed Wi-Fi internet throughout the apartment. Cable TV is provided by UPC and you have a large flatscreen TV in your living room as well as in each of the two bedrooms. The kitchen is fully equipped with all the modern appliances including coffee machine, and there is a washer dryer in the apartment. This apartment comes with free access to a full gym, pool, sauna, and hot tub, located on Clarendon Street just beside Grafton Street. We provide secure parking to our guests free of charge, directly underneath this block with an elevator up. 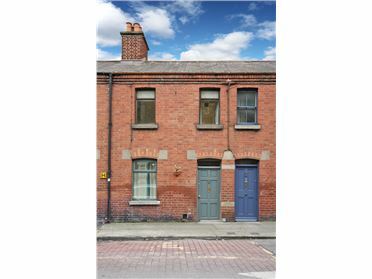 For those travelling without a car, this apartment is within a ten minute walk of bus, train, and tram lines, making it easy to get around both the city and the surrounding countryside and coastline.